In this novelistic collection of short stories, a gay Mormon missionary struggles to make sense of sexuality and spirituality in 1970s Italy. Like most young Mormon men, Robert Anderson wants to show his devotion to his church and his God by being a good missionary. The challenges of adjusting as a 19-year-old to missionaries' stringently austere lifestyle and a foreign culture are exacerbated by the shameful, burdensome secret of Anderson's homosexuality. Nonetheless, Anderson believes that if he's righteous and obedient enough, God will bless him by making him straight. 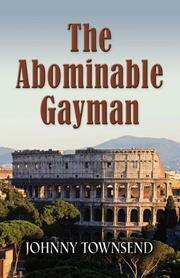 Surviving earthquakes and a war between factions of organized crime are frankly easier than coping with the despair of finding that no matter how faithfully and diligently he works, he's still gay. And the biggest problem Anderson faces is his fellow missionaries, not just those he’s attracted to, but a mean-spirited roommate who uses his authority to torment those he dislikes—especially Anderson. But eventually Anderson is assigned as a working companion a beautiful, young Italian who loves Anderson for the kindness and compassion he shows others; that acceptance helps Anderson see that he deserves some of that compassion himself. It's a pleasure to watch Anderson stand up to his bullying roommate and to joke about situations that he previously could scarcely have acknowledged aloud. Ultimately he calmly accepts disgrace because it carries with it such valuable understanding of himself and the nature of the church for which he's been working. Like all short-story collections from Townsend (Let the Faggots Burn: The UpStairs Lounge Fire, 2011, etc), this new work explores the demands and rewards of being Mormon, occasionally in excessive detail; aware of how unfamiliar Mormonism can seem to a general audience, Townsend occasionally overexplains Mormon doctrine and practice, commenting here multiple times, for instance, on the fabric most often used in Mormon underwear. Told from a believably conversational first-person perspective, this collection's novelistic focus on Anderson's journey to thoughtful self-acceptance allows for greater character development than often seen in short stories, which make this well-paced work rich and satisfying, and one of Townsend’s strongest. An extremely important contribution to the field of Mormon fiction, whose current growth just might make all that explication unnecessary in the future.